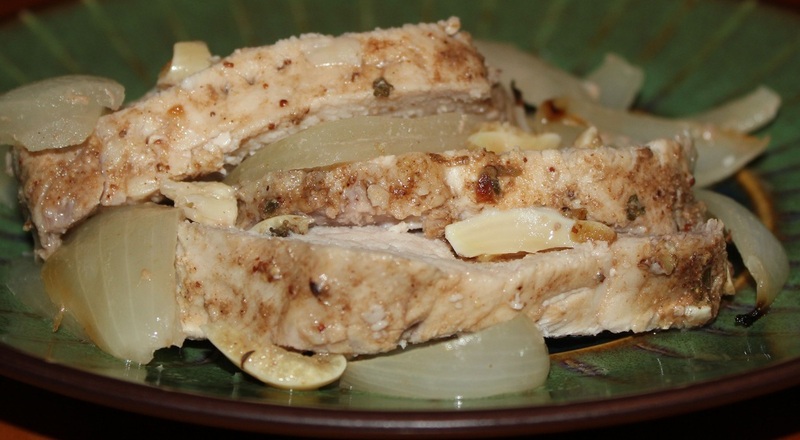 Arrange pork and onions in a baking dish. Sprinkle garlic over pork loin. In a small bowl combine oil, wine, thyme, Worcestershire sauce and mustard. Pour over garlic and pork loin. Bake covered for 25-30 minutes, or until thermomter registers 160 degrees.